WATCHA was a service where users rated movies and TV series according to their preferences and recommended a similar film. Going one step further, we renewed WATCHA, added feed tab to read their follower’s contents and reinforce the recommend feature so that users can find their taste. I was a part of a small team with two people and responsible for the experience strategy and visual design. I work alongside with Zaewan Suh, lead designer, the whole time during the research process and app launch. People loved WATCHA for recording and keeping a record of the movie, but only users immediately turned it off right after they evaluate them. 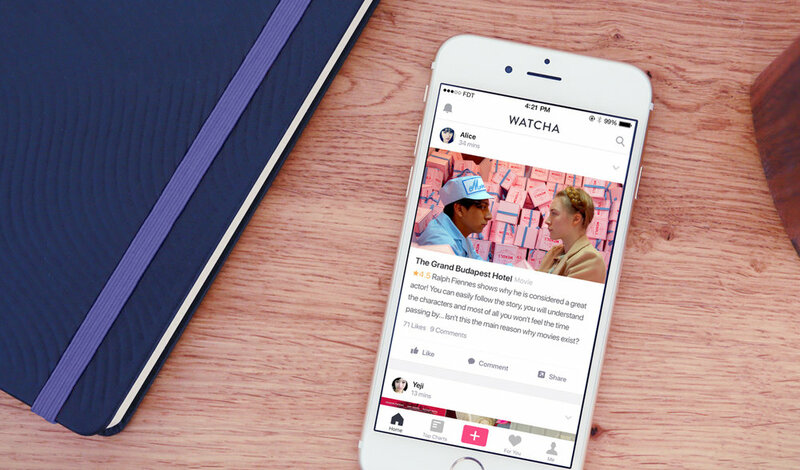 We wanted to change the experience of WATCHA by using the content and space of the users that WATCHA has so that users can spend more quality time in the app frequently and for a long time. 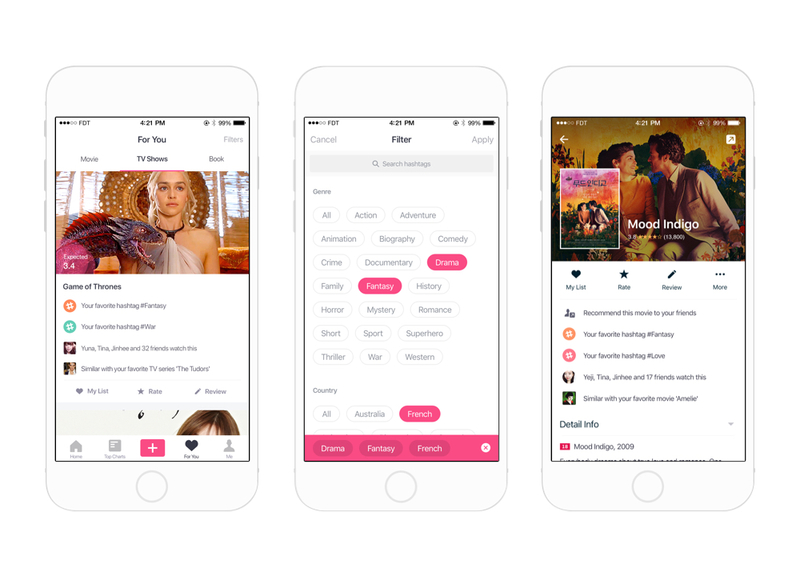 Users can rate reviews and extensive reviews of movies, create collections, and share them with friends. 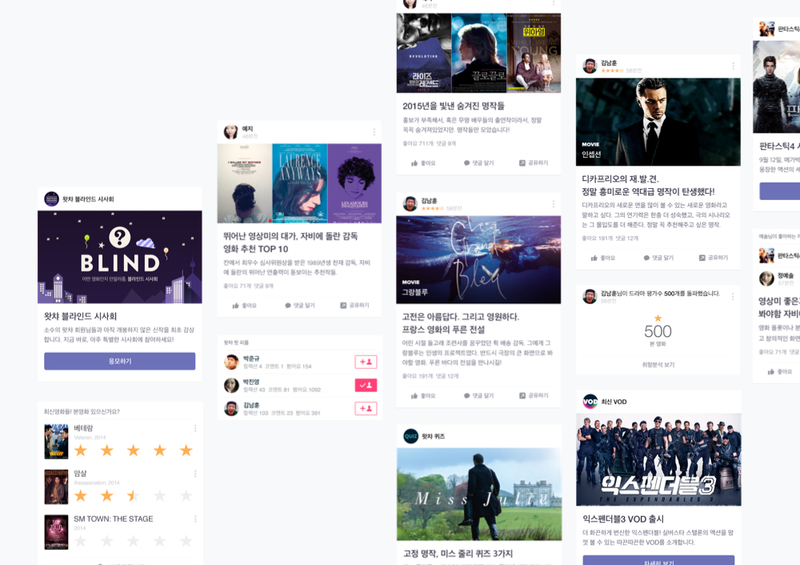 This allows people to see a variety of content for film and TV series. Users can view the various content of friends they follow in the feed.